CurveExpert Professional helps you focus on results. CurveExpert Pro computes confidence and prediction bands, F-Tests, AIC tests, and runs tests. These tools at your fingertips help you analyze your data quickly, reliably, and easily. 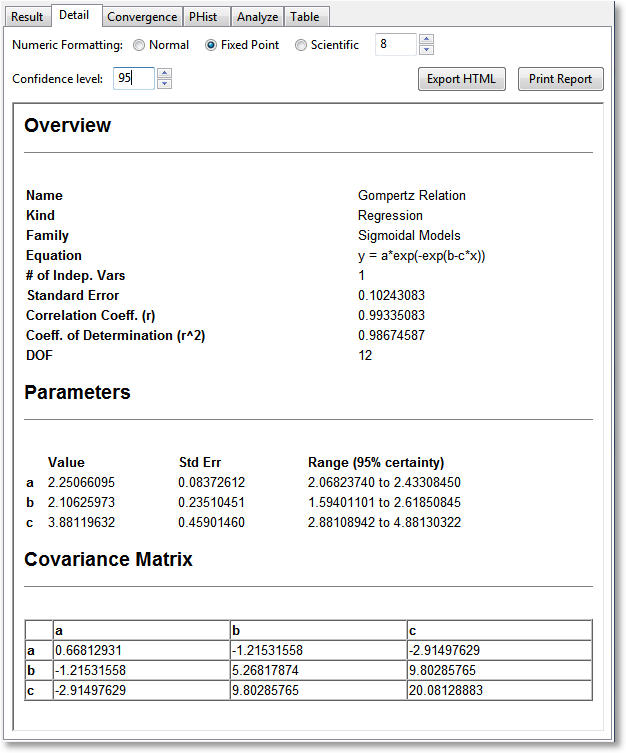 An example of the computation of confidence and prediction bounds for a regression can be seen below, and the specific manner of display is configurable by the user. 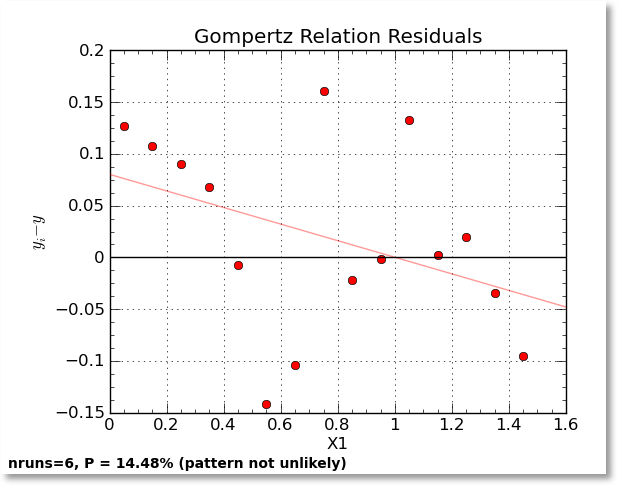 Also, a compare function for regressions is available, which includes F-Tests and Akaike's Information Criterion (AIC) test. The presentation of the results is shown in a nicely-formatted report, which can be configured to display floating point numbers in your preferred format. This report can be printed directly, or can be exported to HTML. A runs test is available in the residuals display. New style of result report. Enhanced residual report with runs test. 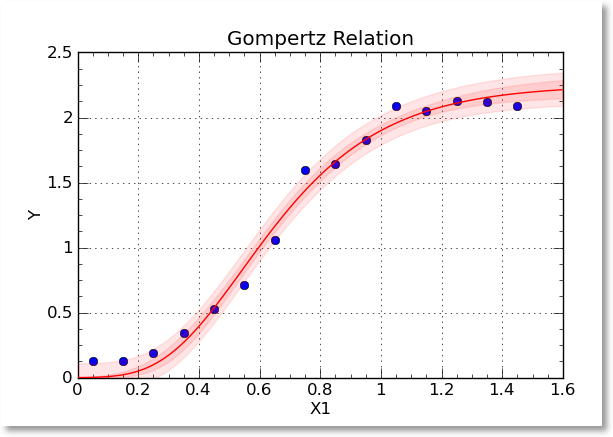 Comparing two regressions with an F-test and AIC test. CurveExpert Professional 1.2.0 helps you focus on results.